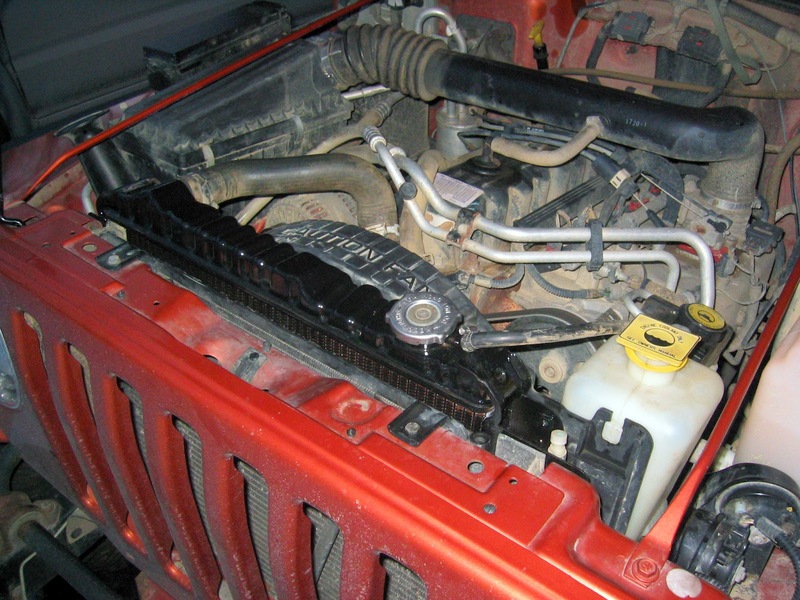 The following images document the removal of the factory radiator and the installation of a CSF Radiator on a 2000 Jeep Wrangler TJ Automatic 6-Cylinder. The following images document the removal of the center floor console of a 2000 Jeep Wrangler TJ Automatic. 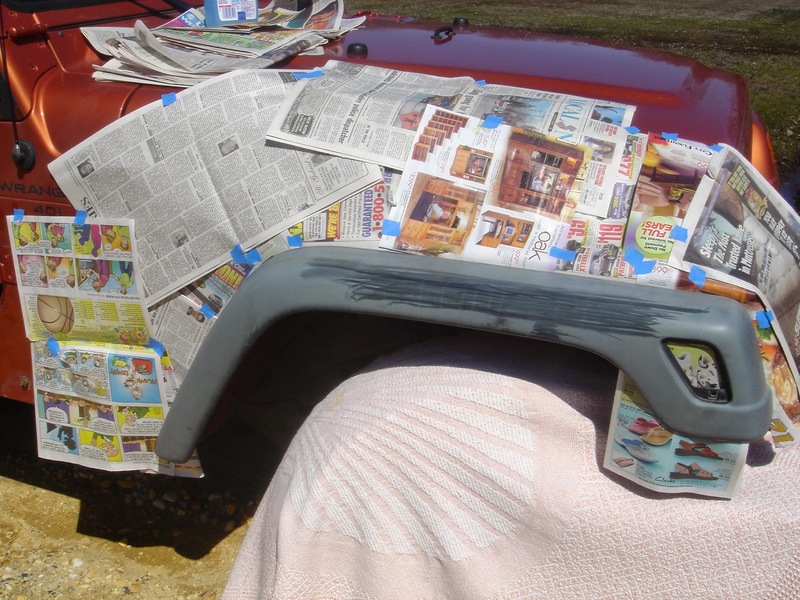 The following images document the application of Mothers Back To Black on a 2000 Jeep Wrangler's faded fender flares. The product did temporarily restore the factory-looking dark black color to the fender flares. It's important to note that the result lasted us only a few months. Our preferred solution is to paint the fender flares with Krylon Fusion. However, if you're interested in this product, feel free to continue to read to see before/after pictures and overall impressions. 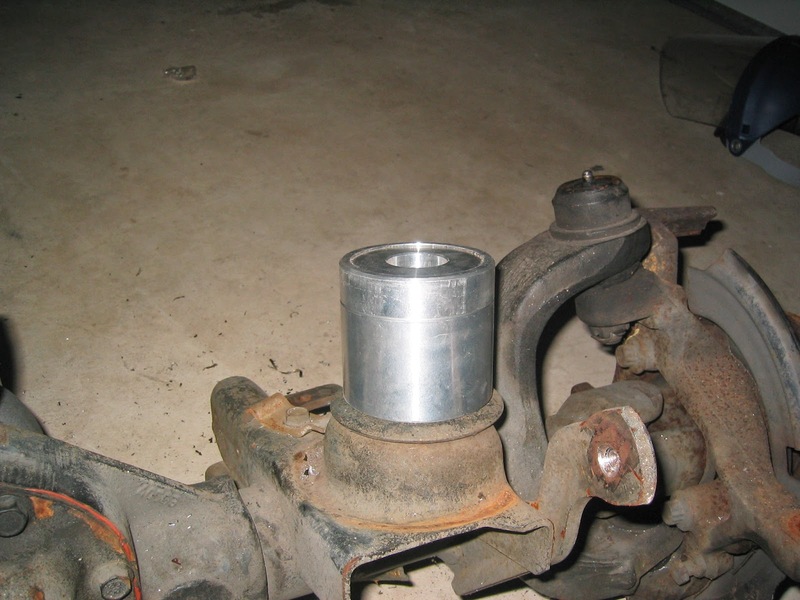 The following images document the installation of the JKS Adjustable Bumpstops on a 2000 Jeep Wrangler (XJ high pinion Dana 30 front axle). 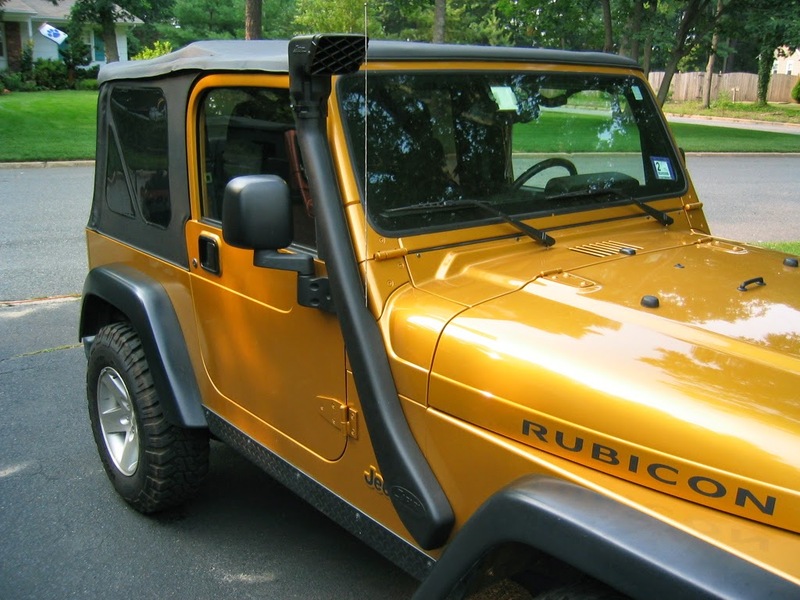 The following images document the installation of the ARB Safari Snorkel on a 2003 Jeep Wrangler Rubicon. 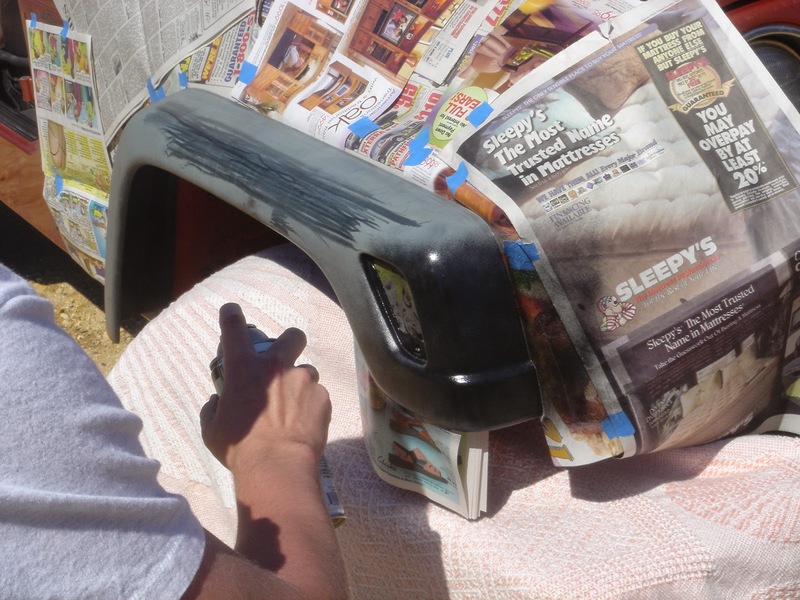 The following images document the application of Krylon Fusion spray paint on the stock fender flares of a 2000 Jeep Wrangler (TJ) in an effort to return the faded color to a stock-looking black. Krylon Fusion is a spray-paint made specifically to adhere to plastic. 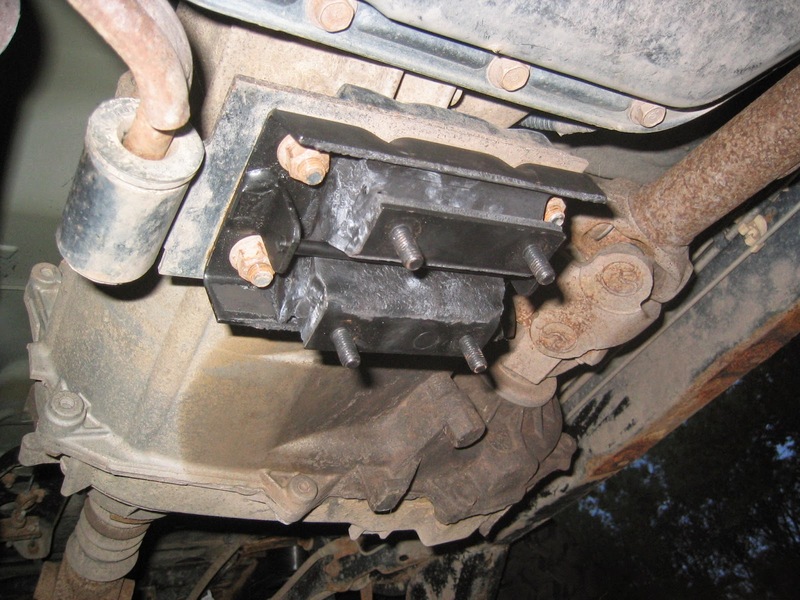 The following images document the replacement of a rear engine mount on a 2000 Jeep Wrangler 6-Cylinder Automatic. We chose to replace the mount because one of the mounting bolts was broken.